Ayogo employs validated measures of perceived self-efficacy and other psychosocial factors to better understand what is important to people in the context of their real lives – not just their health. This enables timely, personalized and relevant interventions aimed at enhancing self-management and improving health outcomes. twice named one of the 100 most innovative mHealth companies in the world. A large body of empirical evidence spanning multiple decades has demonstrated that self-efficacy perceptions significantly predict quality of life and successful disease management among patients with chronic illness¹. Having low perceived self efficacy is highly predictive of poor compliance to medical interventions and treatment plans across disease types. Ayogo’s data-driven assessments identify specific disease management domains in which a patient demonstrates low PSE, facilitating the selection of targeted, just-in-time interventions that adapt to changing circumstances and address the patient’s individual needs for support. 1. Sheeran, P., Maki, A., Montanaro, E., Avishai-Yitshak, A., Bryan, A., Klein, W. M., … & Rothman, A. J. (2016). The impact of changing attitudes, norms, and self-efficacy on health-related intentions and behavior: A meta-analysis. Health Psychology, 35( 11), 1178. Ayogo’s GoalMama gives Nurse Family Partnership nurses realtime insight into the self-efficacy of their program members, enabling NFP’s mission to empower first-time moms to transform their lives and create better futures for themselves and their babies. 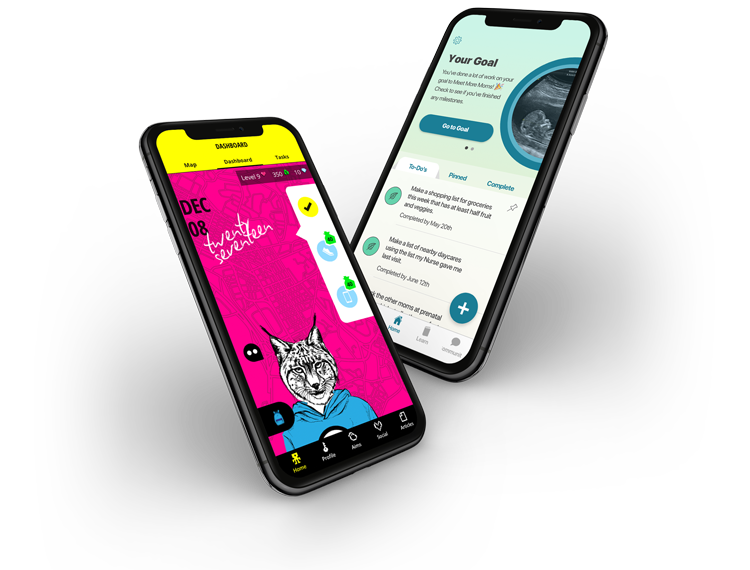 Ayogo’s intelligent virtual coach lives at the core of Aim2Be, continually learning and adapting to each individual teen, their attitudes towards health and their readiness to take control of their own well being. 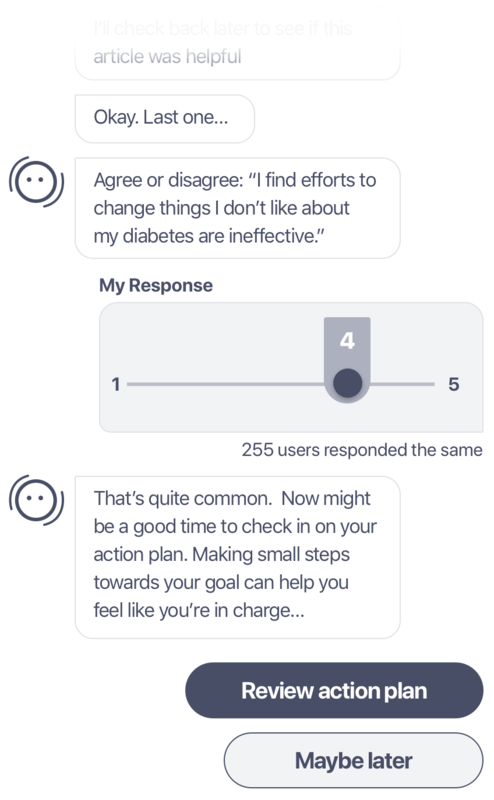 Social spaces, on-demand coach communication and an extrinsic reward program augment the most advanced medication tracker we’ve ever created. Adaptive, just-in-time adherence interventions help users to remember their medication, without relying on reminders. We Ayogis (as we like to call ourselves) are designers, architects, masters and apprentices of behaviour. We have a history of always asking “why” and the clinical, data-science and behavioural-economics muscle to get us ever-closer to the answer. We have a world-class team, an office dog, a track record of award-winning technology and we’re on a mission to empower patients and transform healthcare. Join us!